Nevada Day is an important holiday in the State of Nevada, celebrating the state's admission to the Union on 31 October 1864. The annual holiday is held on the last Friday of each October and the days surrounding it are filled with Nevada-centric activities. 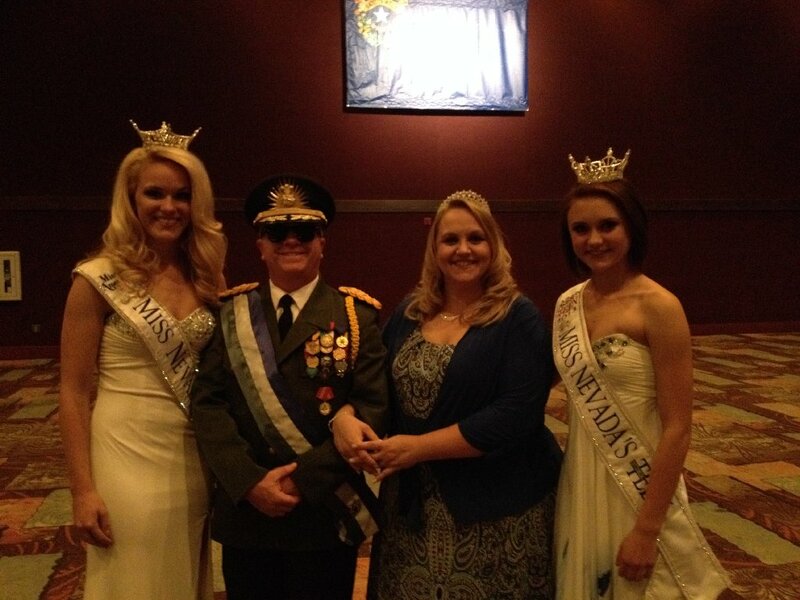 As Molossia is located within and surrounded by the state and because we are of course Nevadans as well as Molossians, we always join in to the celebrations. This year was no exception. 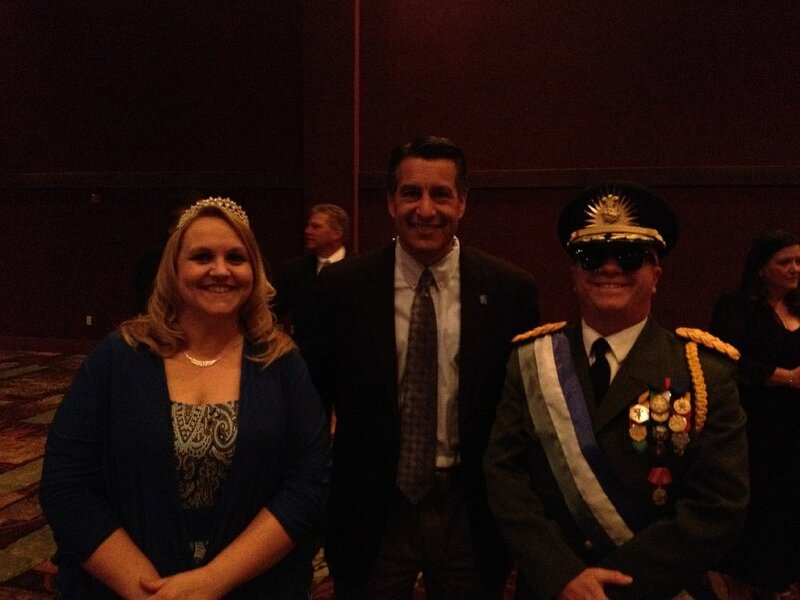 Festivities began on the evening of 24 October as The President and First Lady attended the third annual Governor's Banquet, held at the Grand Sierra Resort in Reno, Nevada. The evenings activities included dinner, speakers expounding on the greatness of the Silver State, an auction and of course a meet and greet with Nevada's Governor, Brian Sandoval. In addition to meeting the Governor, His Excellency and The First Lady were themselves the center of attention, being somewhat well-known local celebrities. It was an excellent evening and a fine time was had by all. 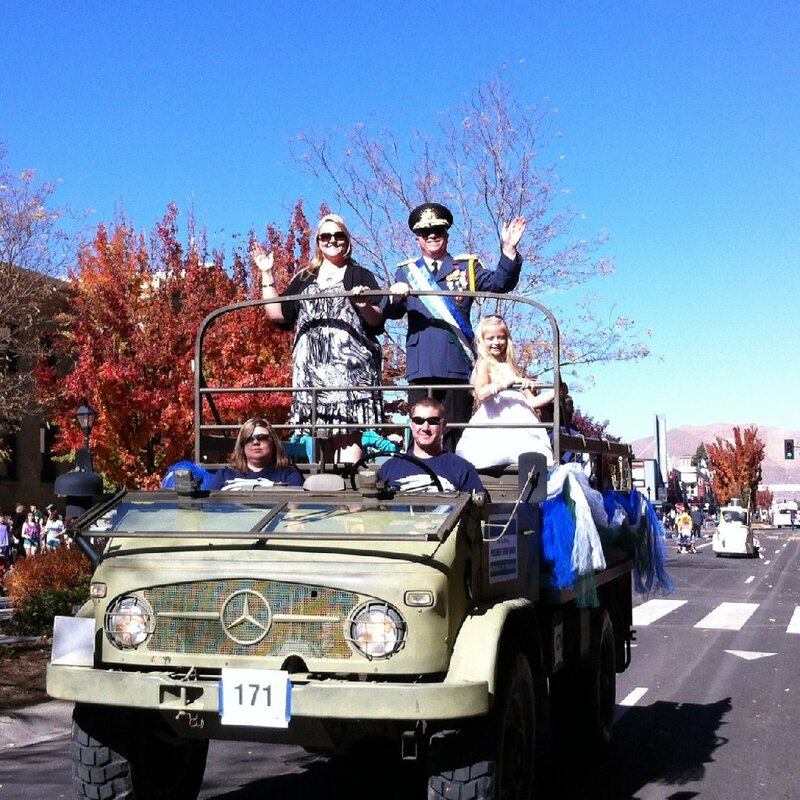 Saturday, 26 October was the day of the annual Nevada Day Parade, an event in which The President and First Family participate every year. The day began with a pancake breakfast at the Nevada Governor's Mansion, after which The First Family gathered to appear in the parade. Included were The President, The First Lady, M. Nathan, Mlle. Alexis and M. Zack, a friend of Nathan. 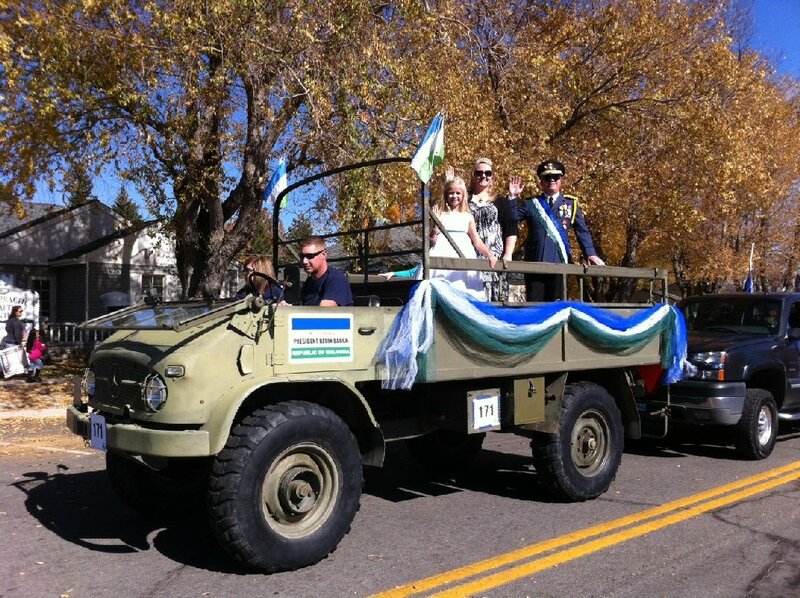 In addition, His Excellency's mother rode in the parade, her first ever. On this seventh appearance in the parade, His Excellency and the First Family rode in a 1962 Mercedes Unimog Truck, in which they had ridden in three previous parades. The truck was driven like always by Aaron Brockway, and The President awarded him the Molossian Friendship medal for his stalwart service to Molossia. 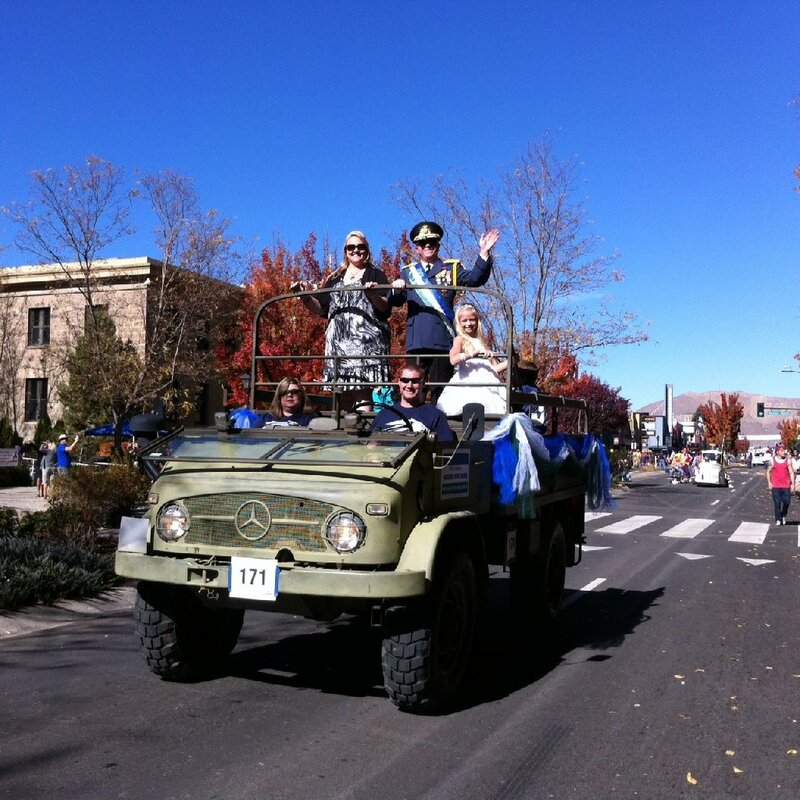 The parade route stretches for about 1.2 Imperial Nortons (1.2 km) through the middle of Carson City, the state capital of Nevada. Along the route several reviewing stands are set up, with announcers introducing each parade entry. Unlike past parades, the announcers were somewhat better this year at pronouncing the name of our nation correctly. As the President passed the spectators, many called out, wanting to know where Molossia is located. His Excellency and the First Lady responded and the good humored crowd generally took it in stride that there was a sovereign nation right down the road from them, inside their own state. A fine time was had by all and we all look forward to next year's Nevada Day weekend! Ready for the Parade to Start!